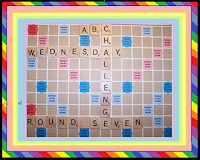 This week at ABC Wednesday, T takes centre stage! Thomson is my favourite artist. Though not an official member of the Group of Seven he is always associated with it. His paintings are full of the rugged north. His death is still a mystery - did he drown or was he murdered? Here is a chronology of his life. Here is a quick summary of his life through Wikipedia. Information about a new book about the mystery of his death. As November ends, it is time to look back on this month of photos taken as part of 365 Days of Photos. Madeline Bea began this challenge several months ago and I joined in. Sometimes it is a challenge just to find a subject for the day, let alone the time. But most days the sky or shadows or nature provides a focus. Shadows were not too evident this week - lots of cloudy and overcast days. Now we have snow today! A sprinkling so far but the ground is white. So I am turning to some shadows I have not included in the past year. The stone wall by the Grand River in downtown Cambridge. Be sure to check out this wonderful meme of Tracy's, at Hey Harriet!. Shadows make such interesting subjects! Time to look to the skies - in all their different displays, from sunrises to sunsets, from greys to blues, with and without cloud. I am turning to clouds/skies I captured over a year ago. 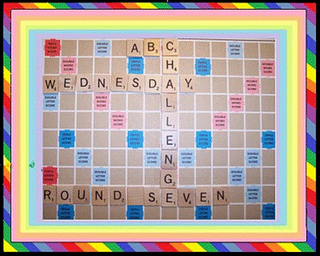 ABC Wednesday is a fun meme that has you focusing on a letter a week. This week it S we are looking at. Be sure to visit all the participants here. "Stirring up memories" was a bit of a surprise as well - memories of the accident and but also of my father. The anniversary of his death is tomorrow. But memories can be healing and the need to balance past with present is present here as well. This week I have been struggling with illness and finally got medication. Hopefully, I am now on the mend. Even tho I was home 2 days, I did not get much done creatively. Looking at and appreciating other's artwork was an enjoyable past-time. Lots of inspiration out there! I created one set of collage cards for an ATC swap and that was easy and fun. I also did 2 collages in my AEDM journal. and the other was of smiling children. Thought this look at children around the world would be uplifting. I am continuing work on a large zentangle. It is coming slowly tho! I continue to take part in the Photo a Day. These are a few of my favourites this past week. GPP Challenge "What's your Hang -Up"
The only artwork I have framed so far is this pair of flowers I did in oils, in the style of Georgia O'Keeffe and Helen Lukas. The challenge now is to frame more of my work! As a seeker of shadows this is so true. Strong light gives such distinct shadows, but even those light shadows have a beauty. Be sure to visit Hey Harriet! where Tracy hosts this fun meme! Reflections can be found in so many places - mirrors, water, windows. This week I am looking back in my photo collection. I have been fighting illness all week. Have had a day and a half off work and finally get meds today to fight throat and lung infections. It always seems to happen at report card time! Here's looking back in time -at the mirror man - at the Blues Festival in K-W. When I was chasing a sunset a couple of weeks ago, I took some shots through my side mirror. While getting some shots of Canada geese, I caught a reflection in a puddle. Be sure to visit the great participants here. Louis Armstrong sang about "blue skies", but I much prefer the volatility of clouds and sunsets and sunrises. The colour adds such drama! 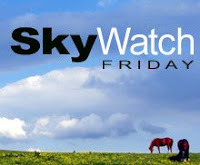 Be sure to visit the participants of Sky Watch Friday. Once again it is time to focus on letter of the week for ABC Wednesday. This week our letter is R.
Rodin: -the sculptor, most famous for his "Thinker"
Norman Rockwell: -the popular 20th century American painter and illustrator, most famous for his covers for "The Saturday Evening Post"
The pressure of report cards is over! I finally finished progress reports (we have a new reporting system in Ontario this year - progress report in Nov. and then 2 report cards in Jan. and June.)! The worse part was that as a new system I had a new programme to learn. Now they just have to be proofed by the VP, signed, photocopied and then sent home. Then the fun begins!! In between working on these, marking and planning, as well as having a life (! ), I have been trying to create daily. One project has been a large zentangle which I try to add to each day or so. I'll share once it is done. Another has been my daily photos - which usually end up being skies! I have also been creating papers - to use for ATCs. I have also had a number of ATC swaps which I have finished this week. A zentangle for a personal swap. Have a wonderful. creative week! Visit Creative Everyday for AEDM!